Go grab your copy of “Codex of the Black Sun” and join in. As someone that grew up reading fantasy or science fiction, but only until later the admixture, I want to further explore this space. In days prior, there was science fantasy but as the call for genres emerged, science fiction and fantasy separated. In fantasy, you have magic, swords, elves, dwarves, and demons. In science fiction you have faster than light travel, telepaths, grey men, and wormholes. The arbitrary separation being “what is feasible with science or technobabble”. Codex of the Black Sun explores the somewhat less traveled space of sci-fi with arcane traditions. Dust off your mouldering tomes, grab a Babylon candle, and sit down for some eldritch reading. I’ll link future posts of this series back to this page. 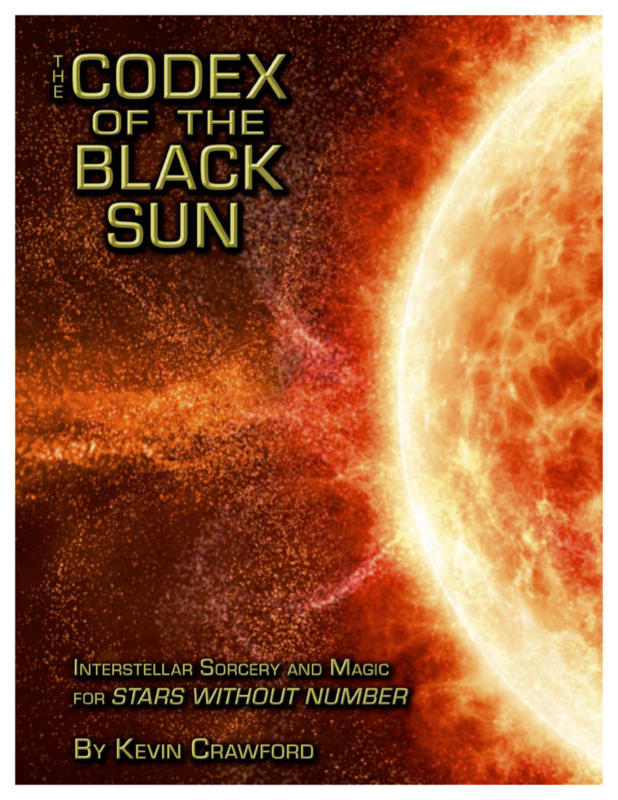 Let's Read “Codex of the Black Sun” by Jeremy Friesen is licensed under a Creative Commons Attribution-NonCommercial-NoDerivatives 4.0 International License. Based on a work at https://takeonrules.com/2019/03/10/lets-read-codex-of-the-black-sun/. Permissions beyond the scope of this license may be available at https://takeonrules.com/more_permissions/.